Government chief whip Ruth Nankabirwa designated the six MPs to the Legal and Parliamentary Affairs committee. File photo. The committee on Legal and Parliamentary Affairs is divided over the inclusion of six new members who were recently added to the committee after consultations on the controversial ‘Age Limit’ bill concluded. On November 29, the NRM moved to add six new MPs on the committee. The Government Chief Whip Ruth Nankabirwa designated the six to the Legal and Parliamentary Affairs committee. Those added to the committee are Rubanda Woman MP Prossy Akampulira Mbabazi, Kabong Woman MP Rose Lilly Akello, Iganga Woman MP Brenda Asinde Ssuubi and Rukiga Woman MP Caroline Kamusiime. Others are Kibanda North MP Taban Amin and Nansana Municipality MP Robert Kasule Ssebunya. Ruling party legislators on the committee said the addition was legally backed while their colleagues from Opposition Political Parties said the move had a hidden agenda. The age limit Bill seeks to amend Article 102 (b) of the Constitution which puts age caps on persons aspiring for the highest office in Uganda. According to the article, a person qualifies to stand for presidency if he/she is not below 35 years and not above 75 years of age. At 73, Museveni would be ineligible to contest for the presidency in 2021, when his current term ends. Before the addition, the committee composition had been 23 members and with the addition of 6, the total membership now became 29. The Rules of Procedure provide for a maximum of 30 MPs on a particular committee. The committee is dominated by the NRM with now the addition of 6 MPs bringing the party’s membership to 19 legislators. The committee has 6 independent members, 2 members of the Forum for Democratic Change (FDC) party and 2 from the Democratic Party (DP). The composition of the membership on a committee is supposed to reflect the party’s numerical strength in parliament. Now, it’s the addition of new members minus their participation in the collection of views from different individuals and institutions both in support and against the Bill that has raised queries from the Opposition MPs sitting on the committee. Masaka Municipality MP Mathias Mpuuga said the addition of new MPs is a sign that the committee has been hijacked. Busiro East MP Medard Lubega Sseggona said these new MPs came midway the process and cannot make a decision on the committee report whose details they did not participate in. He said that their addition is part of the conspiracy and fraud against the country. However, the committee chairperson Jacob Oboth-Oboth revealed that the addition of new MPs to his committee is the politics of numbers. “Which is unfortunate, that where reasoning fails then people will try to invoke numbers and I think that is the way of democracy. Numbers is a democratic way of governance, even when it doesn’t make reason,” said Oboth-Oboth. He added that the technical team had availed all record of committee proceedings and that the new members will be required to prove that they understand the proceedings before making judgment on the committee report. 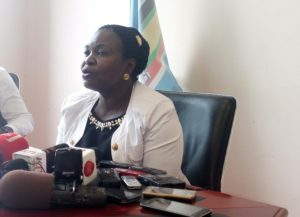 Kaberamaido County MP Veronica Elagu Bikyetero said that there was no bad implication with the addition of new members to their committee saying that these are MPs who had to be designated to any committee of parliament. These NRM MPs insisted that the new members will have to vote on the final report of the committee since they have full rights like any other member of the committee. The Legal and Parliamentary Affairs committee is currently on a retreat drafting the report on the Bill that will inform debate on the floor of the House. The MPs are locked up at Lake Victoria Serena Golf Resort- Kigo in Wakiso district to draft the report on the controversial Bill. At least Shs83 million has been budgeted to cover the cost of the retreat by the committee.